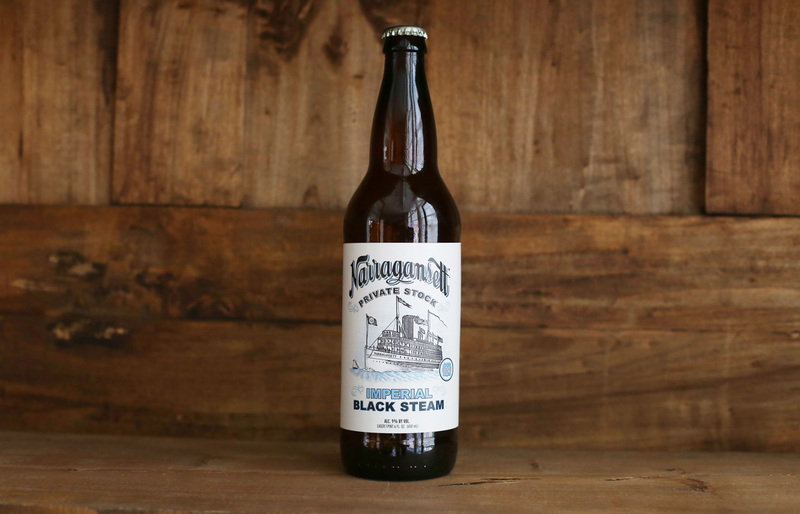 The third installment in Narragansett’s Private Stock series was the Imperial Black Steam. 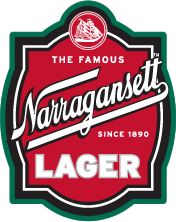 A dark, California-common style brewed under the supervision of award-winning Brewmaster Sean Larkin as a continuing celebration of ‘Gansett’s 123 years of heritage. The Imperial Black Steam is brewed with choice malts, Northern Brewers hops, a San Francisco lager yeast, and is fermented at 68 degrees to enhance the natural esters of fermentation. This unfiltered, American heritage-style beer delivers complex chocolaty, raisin and plum flavors and is balanced off with subtle hints of black current and spice from the hops. Weighing in at 9% ABV and 30 IBU’s, this brew is made locally at Buzzard’s Bay Brewing in Westport, MA. It was first available in July of 2013 in 22-ounce bottles and draft for a limited time at participating retailers.